THESE kittens and puppies have put their animal instincts aside for a series of adorable shots showing them doing housework and even BOWLING. 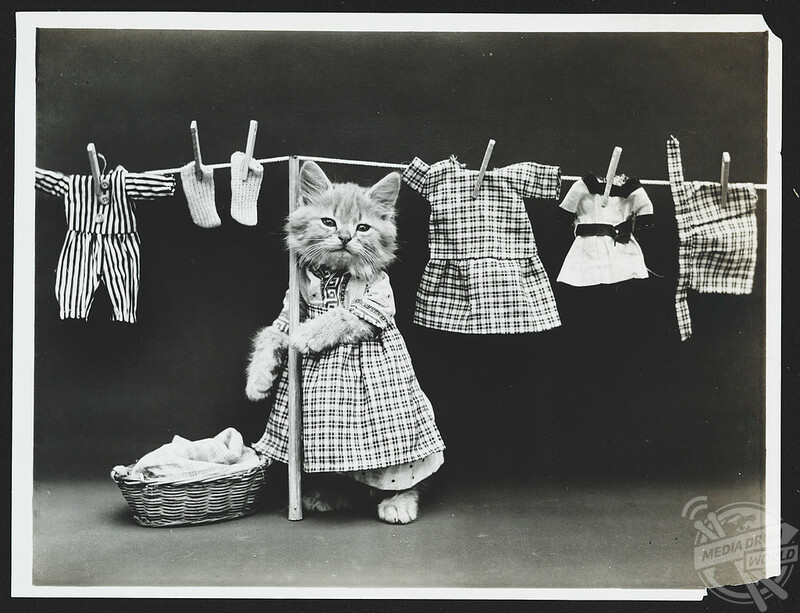 This kitten is holding up a clothing line full of washing. 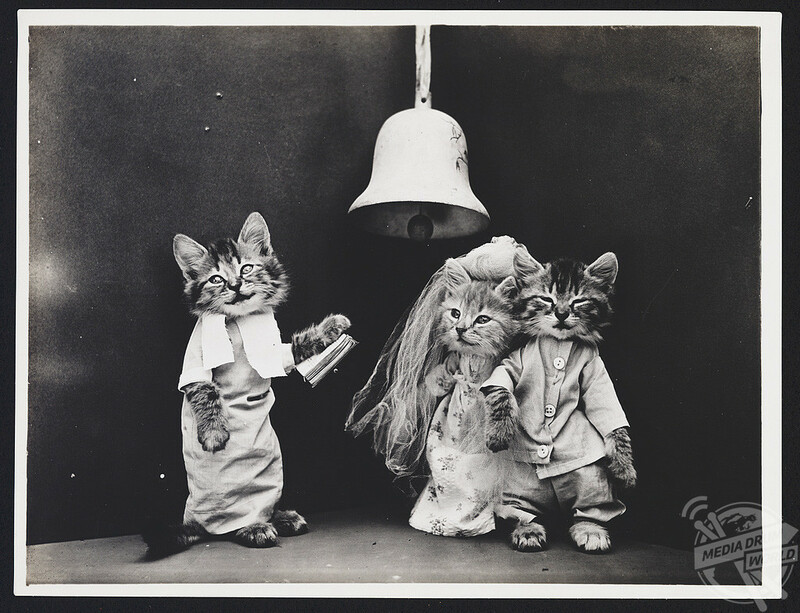 These fascinating images from the website Retronaut, show adorable kittens and puppies dressed up in a series of costumes and holding household props. 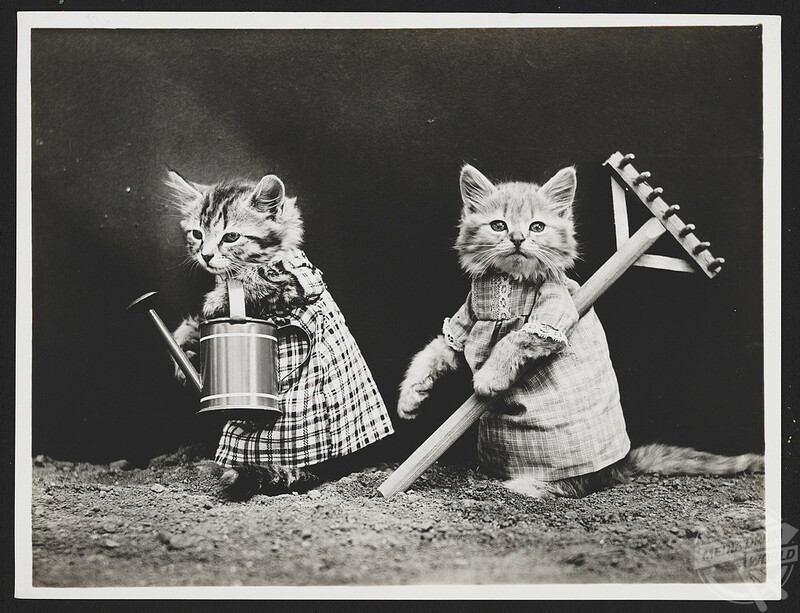 One image shows one of the kittens stood up while holding a washing line with various miniature clothing items pegged to the line, while another shows one of the puppies, dressed in a cloth dress, watering some flowers with a miniature watering can in hand. 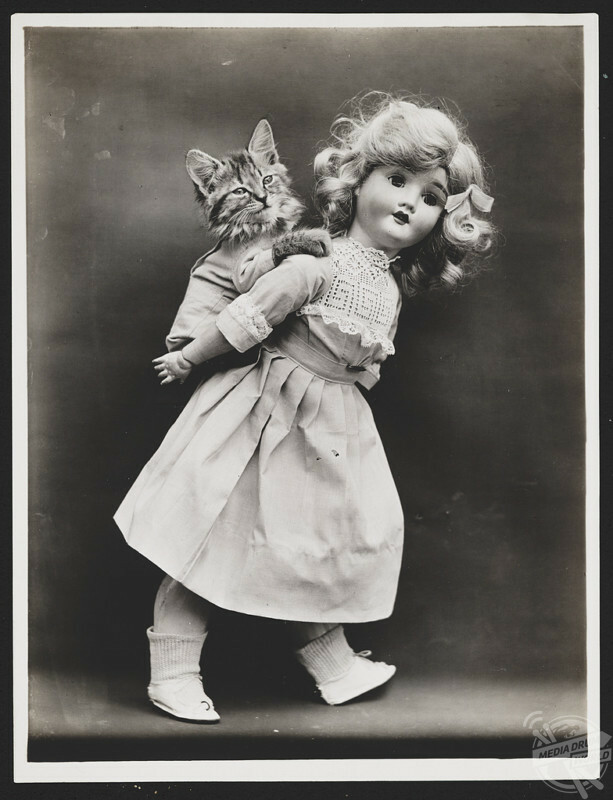 This kitten is hitching a piggy back from a large doll. Other endearing images reveal a puppy posing with a small violin, even with a music sheet in front of him, which was captured by Harry Frees. 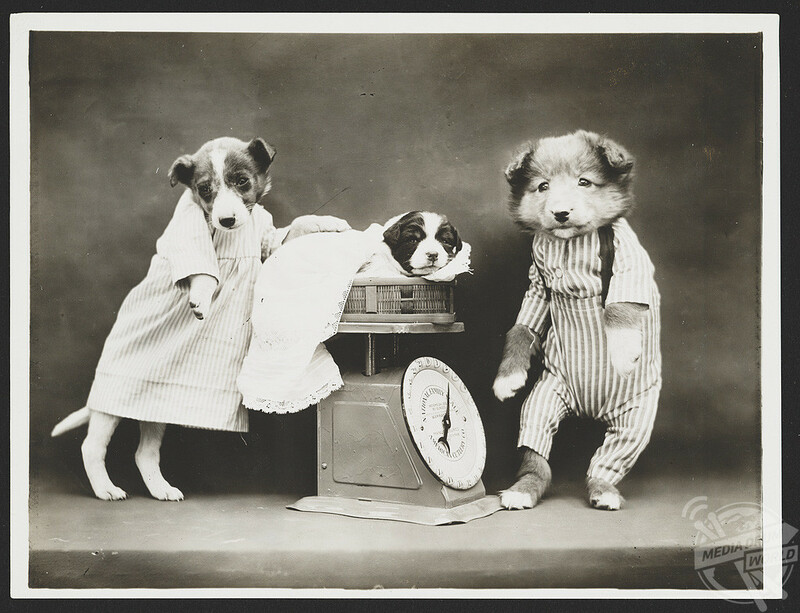 Two dogs are seen weighing a small puppy. The animals, which were all alive at the time of the photoshoot, are dressed in handmade outfits made of cloth and linen, made by Frees’ housekeeper and his mother, especially for the images. 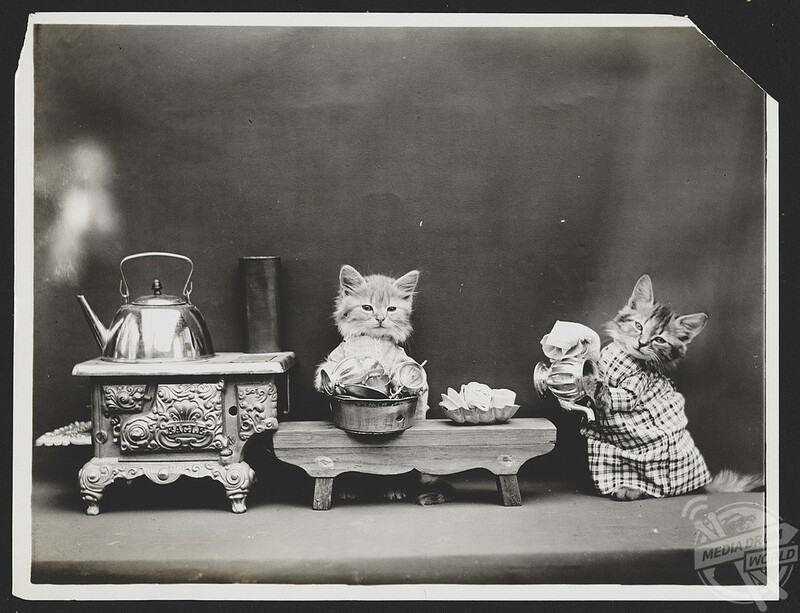 These kittens have been placed in a kitchen set up, showing them cooking. 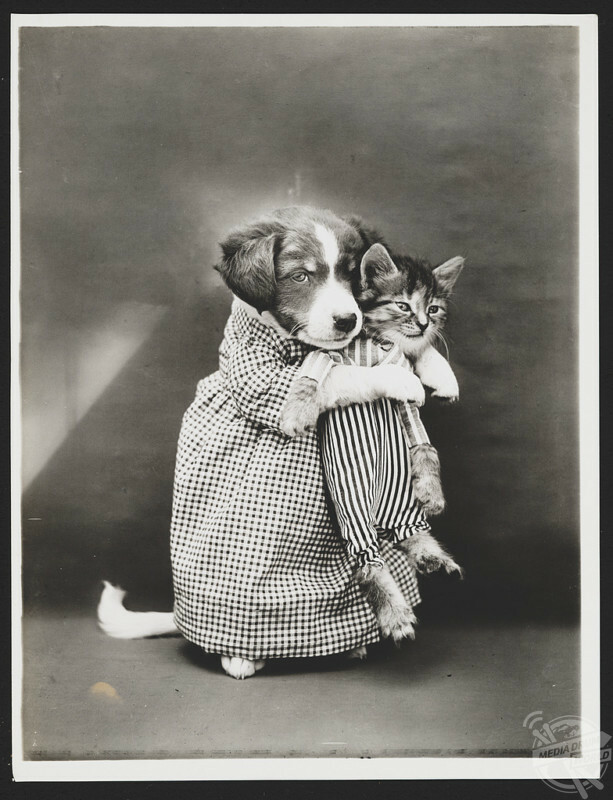 The playful images were taken during the early 1900s, showing society’s undeniable historic love for amusing pet pictures. 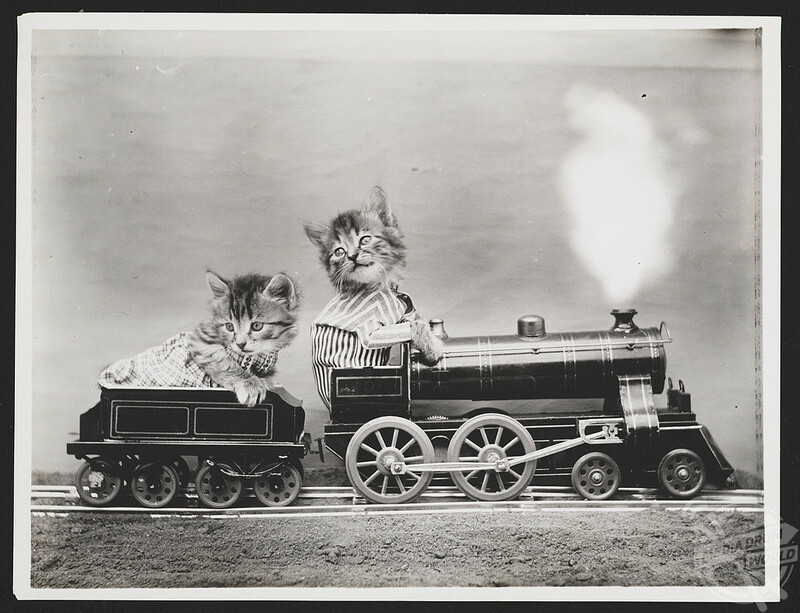 A small steam train is the prop for these two kittens. Frees had a fascination with photographing animals and he would borrow pets from anyone who was willing to let him create a photoshoot with their beloved animal. 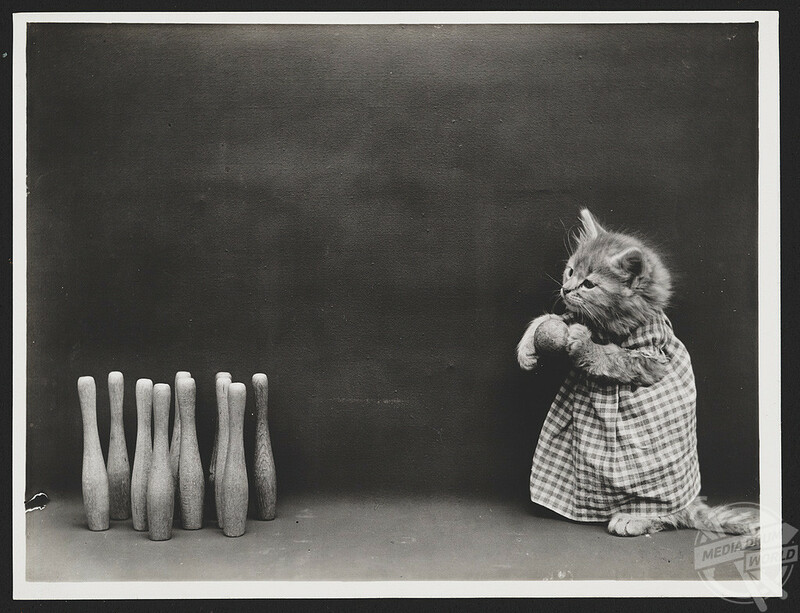 A kitten contemplates the bowling pins in front of him. The idea for the photographs came after a birthday party that Frees attended during which someone placed a paper hat on the head of a cat. Frees captured the moment with a photograph and took this to a nearby postcard manufacturer who loved the idea. 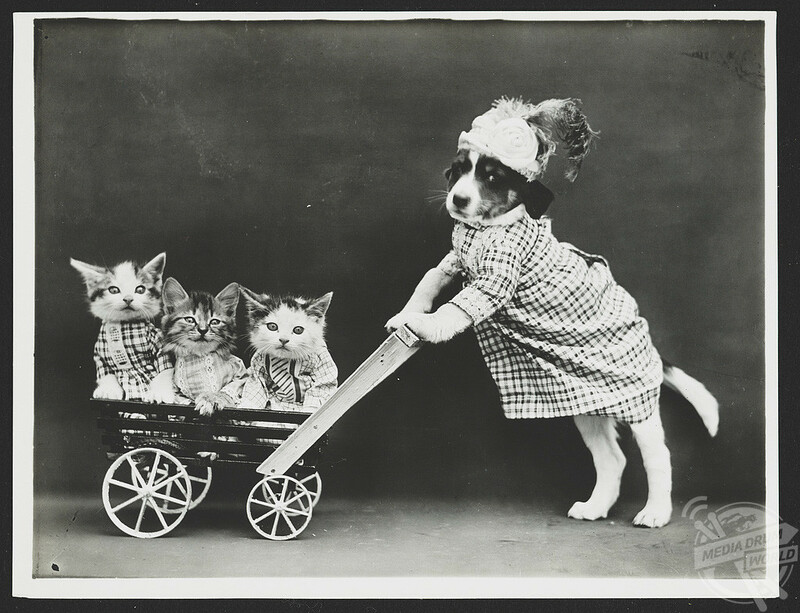 The cart full of kittens is wheeled by a small pup. Although the images are highly enchanting, Frees did have to maintain a level of patience with the animals during the photoshoots in order to get the best shot. Certain images could even take days or even weeks to achieve. This dog is shown giving an embrace to a small kitten. In the modern era, cat and dog images are a massive hit through social media platforms as so many people love watching their favourite animals do funny and silly things. 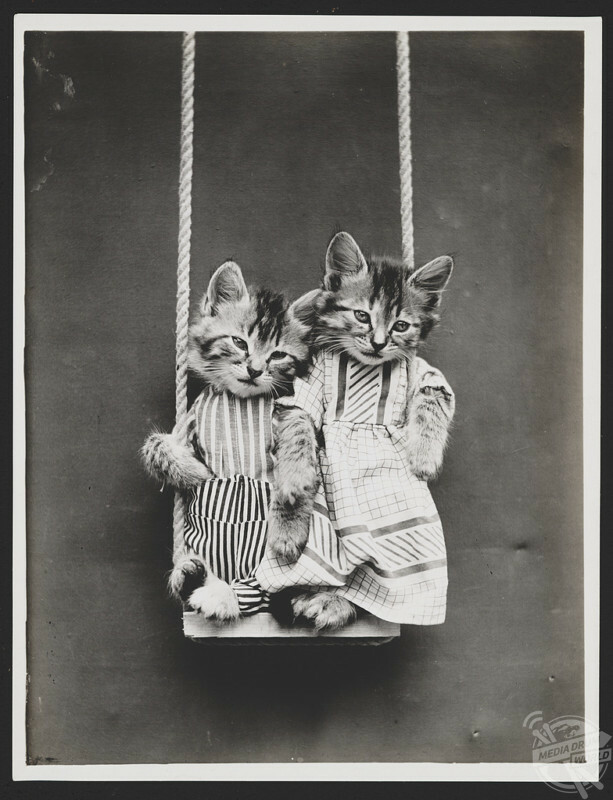 Two kittens perch on a swing. To find out more, visit the Retronaut website to view the full gallery.